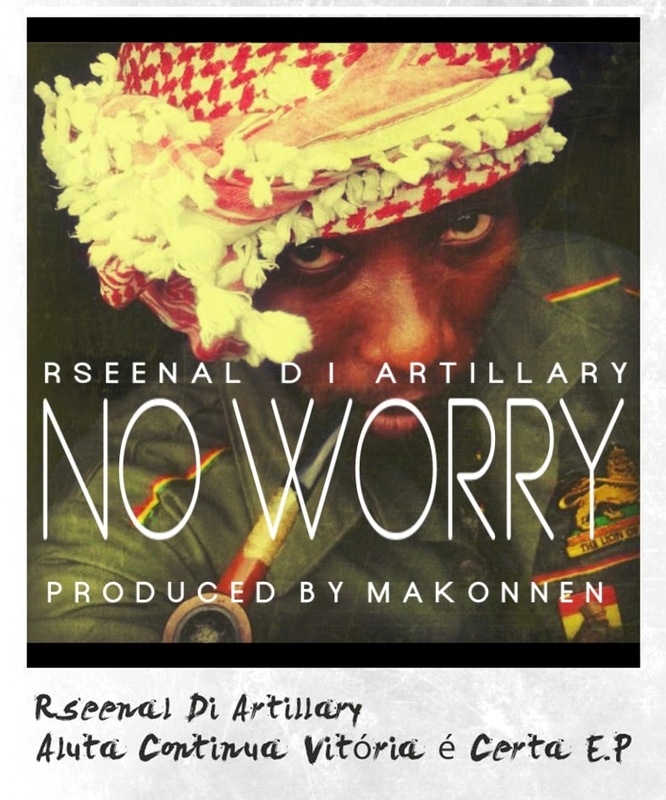 “No Worry” The Third officially released single of international reggae artisteRseenal Di Artillary’s E.P. titled "Aluta Continua Vitória é Certa"
Set in the dispensation of time where the Westminster styled government has failed our people; awakening us to realize our common enemy and that, we are all “in the same boat” living in a global neo-colonial system, suffering political oppression, economic exploitation and social degradation making our race and people an outcast of a standard social system. “No Worry” authored by Rseenal Di Artillary also emphasizes that we must ceaselessly strive towards personal development, build our own government, industry, art, science, literature, culture and refocus our attitudes and efforts to create a reality that diminishes our worries, before the world stop to consider us. Then can no one take the manifestation of our dreams and aspirations away. The Single “No Worry” of Rseenal Di Artillary’s upcoming E.P. Aluta Continua Vitória é Certa was Produced, Mixed and mastered by Makonnen Blake-Hannawho is also the Executive producer for the E.P. He has also done work for established acts such as Lil Wayne, Sizzla Kalonji and Capleton. Rseenal Di Artillary’s. Aluta Continua Vitória é Certa E.P. is set to be released this fall, in November 2014.